We can't do my meds now, I'm still working on updating my page. Cinnamon is being helped through an ear infection, the good folks at Apollo Animal Hospital in Glendale Arizona prescribed the meds and Cinn’s Dad is dispensing them. 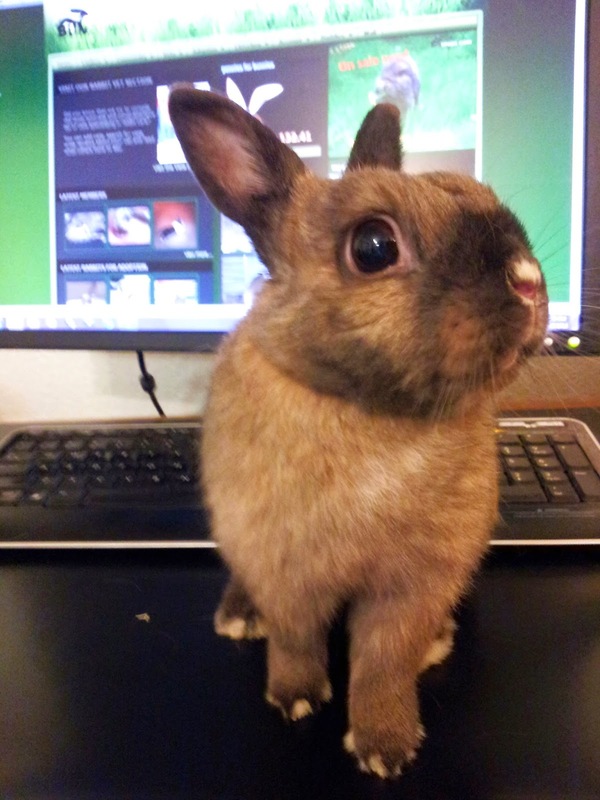 PS: Follow Cinnamon on BunSpace! Thats my Cinnamon, Thank You ! Come on, Cinnamon. A is so proud of you. Let's take that medicine and get rid of that old earache. What a little beauty and smart and conscientious, too! No INet time until AFTER the pills.